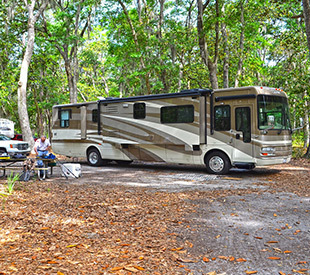 If a vacation just isn't a vacation unless you can pitch a tent or park your RV and cook your dinner over a campfire, Richmond Hill, Georgia, campsites have just what you are looking for. Seven cottages sit on stilts near the marsh, surrounded by palm trees and palmettos. The shaded campground for tents and RVs is bordered by Redbird Creek, a boat ramp, fishing pier and nature trail. 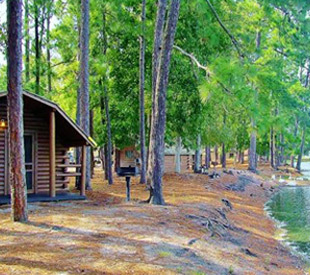 KOA Savannah South in Richmond Hill has spacious, easy in and out pull-thrus, beautiful, shady back-in spaces on the lakefront, along with rustic one- or two-room cabins and a lodge situated near the lake.